Have you ever seen a worker wearing carpal tunnel syndrome braces? This proves how important articulated keyboard trays comfort is. Nowadays, who doesn't type? How many babies are receiving smartphones in their cribs and Tweeting before they can walk? So, if you spend a lot of time typing on your computer keyboard trays, why not get a fully adjustable model? You probably have fully adjustable chairs for your staff, so why wouldn't you have fully adjustable keyboard trays? Adjustable keyboard trays only make good sense. See, when your typists are hard at work trying to enter customer data, they are probably not thinking about their wrist position. With CotyTech articulated keyboard trays, they don't have to. Shorter or taller, smaller hands or bigger hands - it doesn't matter. Each of your workers can set the keyboards to his or her preferential setting. This will reduce stress on wrists, elbows and the back. Naturally, comfortable workers are more productive. Everyone is typing, but the professionals want to achieve a high rate of speed. The difference in keyboarding productivity is not necessarily reflected in the first hour of work, but in the last couple of hours. Fast data entry makes all the difference. You can get faster answers from suppliers or pharmacies. Nowadays, the smartphone has made it so that people expect immediate responses. Your competitor probably already uses our CotyTech fully adjustable keyboard trays and in this fast-paced world - that could make all the difference. 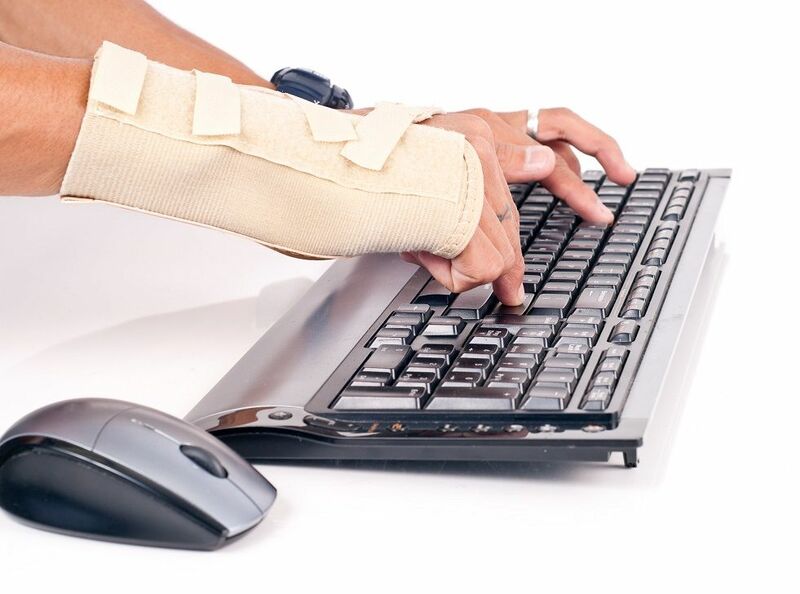 After a couple of hours typing, typists using ergonomic keyboards will still have strong, firm wrists. They can maintain high typing rates. The problem with carpal tunnel syndrome is that when it gets bad, the pain prevents you from typing. You can't be productive. Be proactive and give your staff comfortable, fully adjustable trays. Your work force is only productive when they are in the office, typing away. If they are in the doctor's office having their wrists checked for carpal tunnel syndrome, they obviously can't get their work done. We, at CotyTech understand this. We focus on making user-friendly, ergonomic keyboard trays to optimize your work productivity. Happy workers make your office happy and keeps your customers happy. No one is happy when their wrists hurt from typing for too long at an awkward computer station. Emphasize comfort with low-profile keyboard trays to give your workers the best opportunity to be productive.